While it remains to be seen whether they’re in it for the long haul, the participation of Glencore, Trafigura and other foreign investors in the contract’s debut is a boon. On the other hand, China is not leaving everything to market forces. 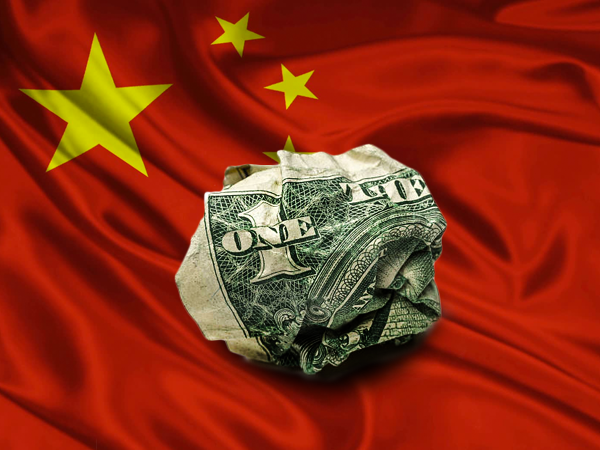 PetroChina and Sinopec are seen as instrumental in providing long-term liquidity for the new market as well. 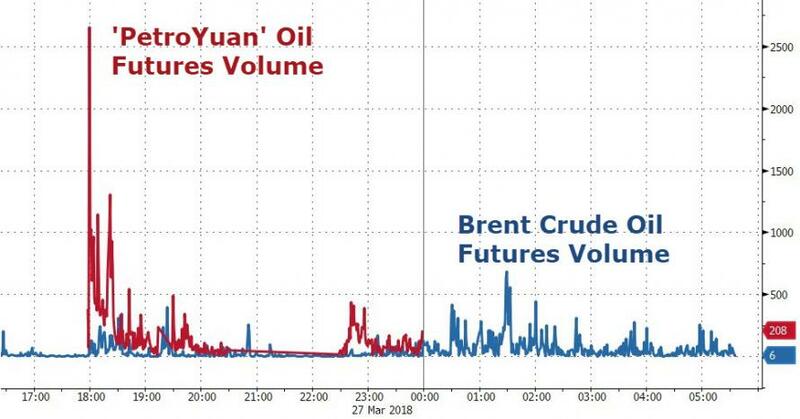 Additionally, Bloomberg reports that contract grades in Shanghai crude oil futures exchange could account for around 200 billion yuan in trades, based on China’s current import volumes, helping the nation in its efforts to internationalize its currency, Wood Mackenzie’s research director Sushant Gupta says in an emailed note. 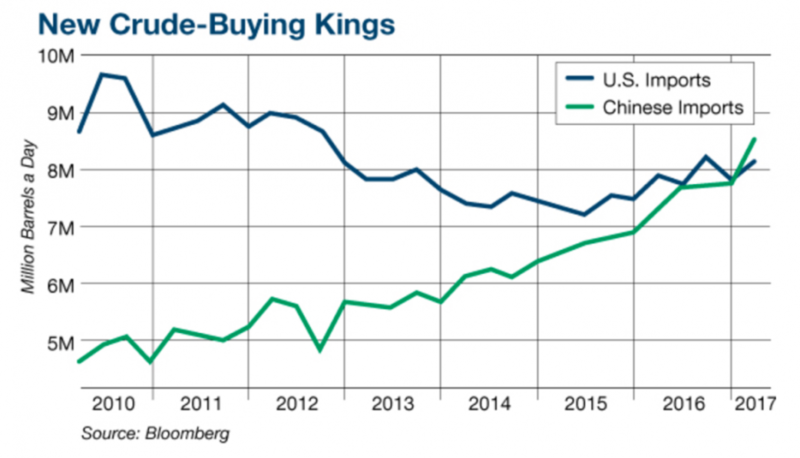 Woodmac expects China’s crude import requirements to grow by ~2.1m b/d from 2017 to 2023, noting that incremental oil-requirement growth in China is much larger than any other country - meaning China would want to play a more active role in influencing the price of crude oil. Trades on Shanghai International Energy Exchange, also known as INE, will enable China’s crude-buying patterns to become more transparent to the world in the longer term, and will reflect China's crude supply-demand dynamic, becoming a reference for China’s crude market (which is likely to have a bigger influence on global prices). Woodmac expects INE prices to influence Basrah Light, Oman prices as a start as the grades account for a significant portion of contract volumes. 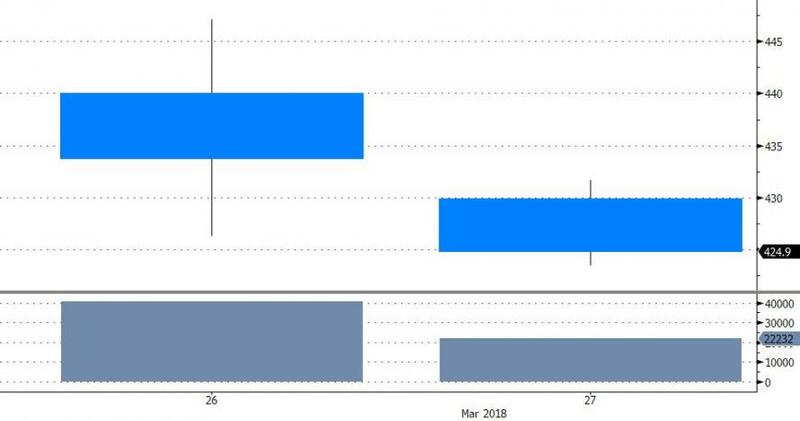 China imports ~600k b/d of Oman crude which is large enough to start influencing Oman prices, which are retroactively set by the Oman Ministry of Oil and Gas. 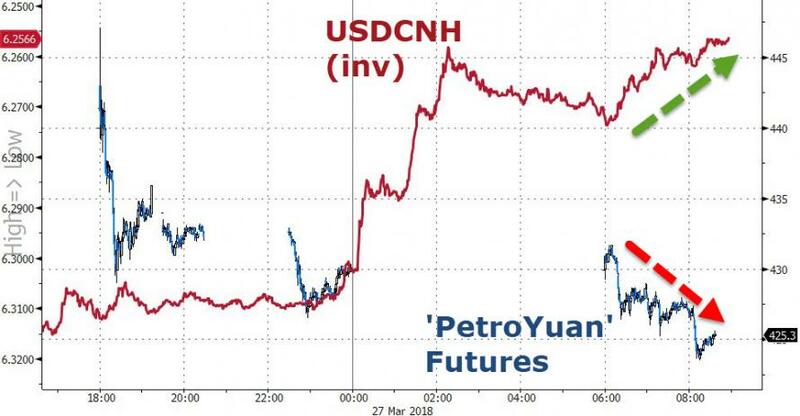 As we most recently noted, after numerous "false starts" over the last decade, the “petroyuan” is now real and China will set out to challenge the “petrodollar” for dominance. 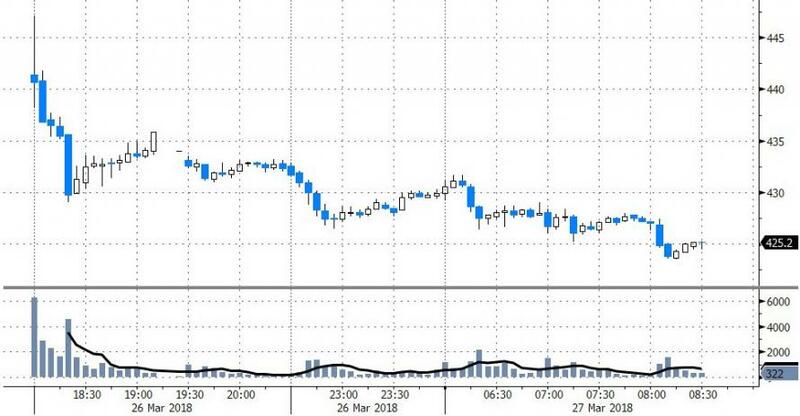 Adam Levinson, managing partner and chief investment officer at hedge fund manager Graticule Asset Management Asia (GAMA), already warned last year that China launching a yuan-denominated oil futures contract will shock those investors who have not been paying attention.